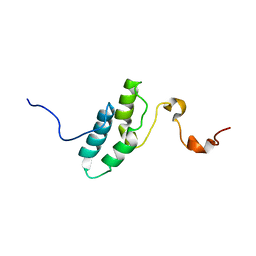 Cite: Crystal structure of human Ras-related GTP-binding D.
CRYSTAL STRUCTURE OF C-TERMINAL DOMAIN OF PF110239. 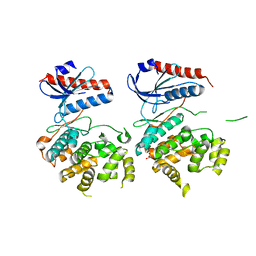 Authors: Bochkarev, A., Bochkareva, E., Frappier, L., Edwards, A.M. 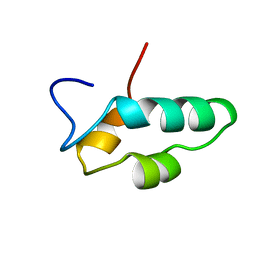 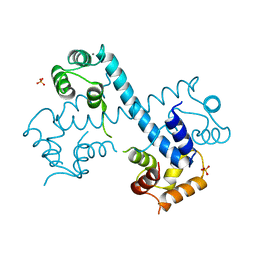 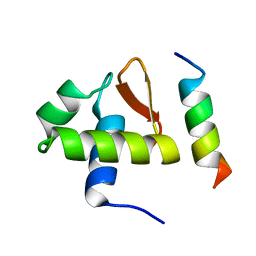 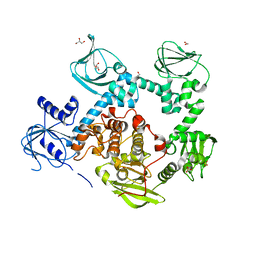 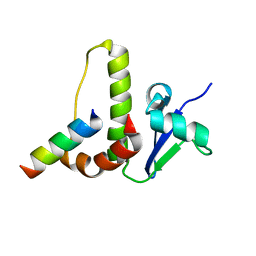 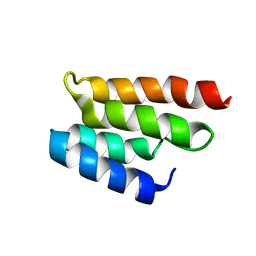 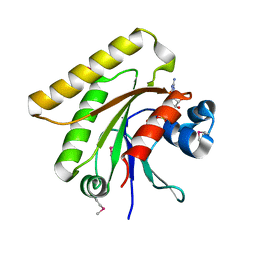 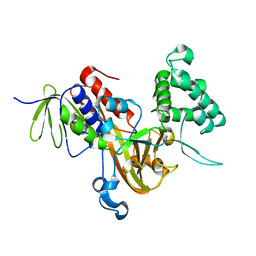 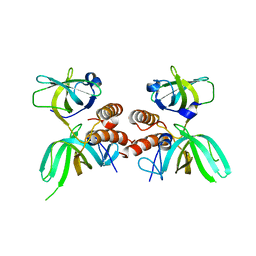 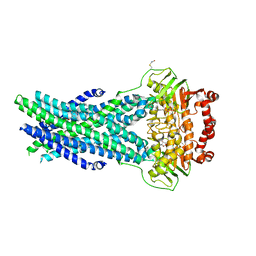 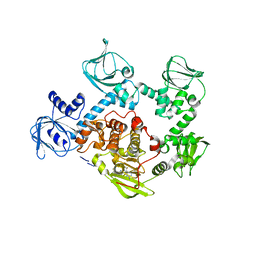 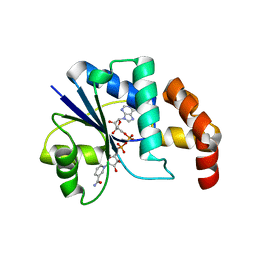 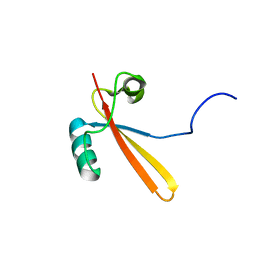 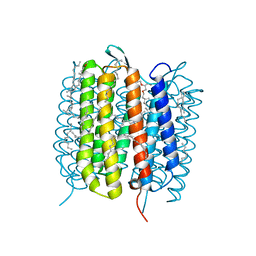 Cite: The crystal structure of the complex of replication protein A subunits RPA32 and RPA14 reveals a mechanism for single-stranded DNA binding. 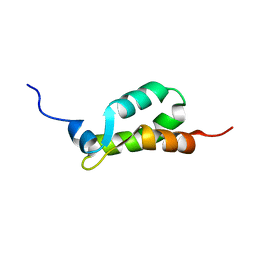 Cite: Structural proteomics of an archaeon. 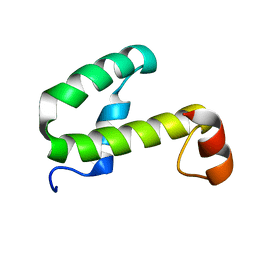 Cite: Solution structure of the RNA polymerase subunit RPB5 from Methanobacterium thermoautotrophicum. 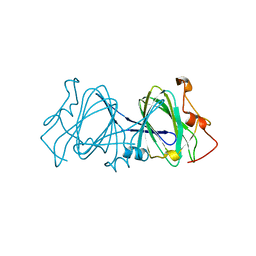 Cite: Insights into ligand binding and catalysis of a central step in NAD+ synthesis: structures of Methanobacterium thermoautotrophicum NMN adenylyltransferase complexes. 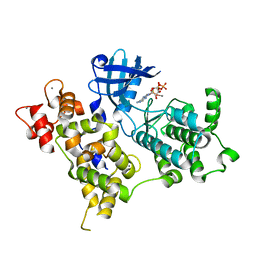 Authors: Morin, P.E., Awrey, D.E., Edwards, A.M., Arrowsmith, C.H. 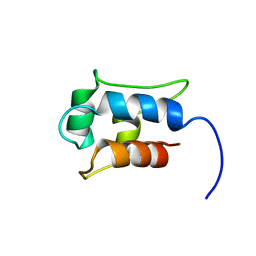 Cite: Elongation factor TFIIS contains three structural domains: solution structure of domain II. 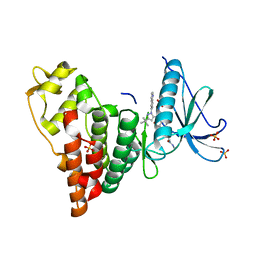 Cite: Crystal structure of dTDP-4-keto-6-deoxy-D-hexulose 3,5-epimerase from Methanobacterium thermoautotrophicum complexed with dTDP. 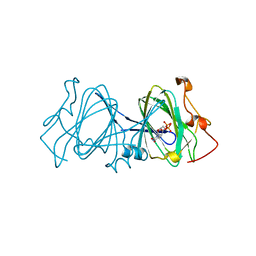 CRYSTAL STRUCTURE OF DTDP-6-DEOXY-D-XYLO-4-HEXULOASE 3,5-EPIMERASE FROM METHANOBACTERIUM THERMOAUTOTROPHICUM WITH BOUND LIGAND. 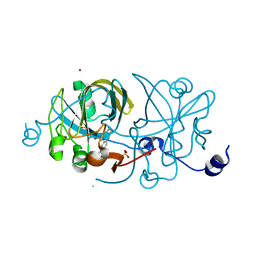 Authors: Christendat, D., Saridakis, V., Bochkarev, A., Pai, E.F., Arrowsmith, C., Edwards, A.M. 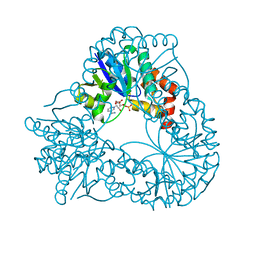 Authors: Saridakis, V., Christendat, D., Kimber, M.S., Edwards, A.M., Pai, E.F.